Delorean aims to provide you with convient ways to get significant dates and times and easy ways to move dates from state to state. In order to get the most of the documentation we will define some terminology. naive datetime – a datetime object without a timezone. localized datetime – a datetime object with a timezone. localizing – associating a naive datetime object with a timezone. normalizing – shifting a localized datetime object from one timezone to another, this changes both tzinfo and datetime object. Making time with delorean is much easier than in life. Now that you have successfully shifted the timezone you can easily return a localized datetime object or date with ease. For the purists out there you can do things like so. You can also create Delorean object using unix timestamps. As you can see delorean returns a Delorean object which you can shift to the appropriate timezone to get back your original datetime object from above. If you are comparing Delorean objects the time since epoch will be used internally for comparison. This allows for the greatest accuracy when comparing Delorean objects from different timezones! Delorean also now accepts localized datetimes. This means if you had a previously localized datetime object, Delorean will now accept these values and set the associated timezone and datetime information on the Delorean object. If you pass in a timezone with a localized datetime the timezone will be ignored, since the datetime object you are passing already has timezone information already associated with it. Delorean can also handle timedelta arithmetic. A timedelta may be added to or subtracted from a Delorean object. Additionally, you may subtract a Delorean object from another Delorean object to obtain the timedelta between them. Delorean objects are considered equal if they represent the same time in UTC. Delorean provides many ways to get certain date relative to another, often getting something simple like the next year or the next thursday can be quite troublesome. Last Tuesday? Two Tuesdays ago at midnight? No problem. 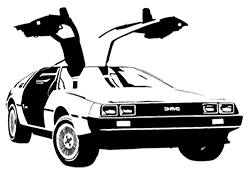 Using the replace method on Delorean objects, we can replace the hour , minute , second , year etc like the the replace method on datetime . Often we dont care how many milliseconds or even seconds that are present in our datetime object. For example it is a nuisance to retrieve datetimes that occur in the same minute. You would have to go through the annoying process of replacing zero for the units you don’t care for before doing a comparison. Delorean comes with a method that allows you to easily truncate to different unit of time: millisecond, second, minute, hour, etc. Though it might seem obvious delorean also provides truncation to the month and year levels as well. Another pain is dealing with strings of datetimes. Delorean can help you parse all the datetime strings you get from various APIs. As shown above if the string passed has offset data delorean will convert the resulting object to UTC, if there is no timezone information passed in UTC is assumed. There might be cases where the string passed to parse is a bit ambiguous for example. In the case where 2013-05-06 is passed is this May 6th, 2013 or is June 5th, 2013? Delorean makes the assumptions that dayfirst=True and yearfirst=True this will lead to the following precedence. So for example with default parameters Delorean will return ‘2013-05-06’ as May 6th, 2013. Here are the precedence for the remaining combinations of dayfirst and yearfirst. Delorean wouldn’t be complete without making a few stop in all the right places. This allows you to do clever composition like daily, hourly, etc. This method is a generator that produces Delorean objects. Excellent for things like getting every Tuesday for the next 10 weeks, or every other hour for the next three months. Now that you can do this you can also specify timezones as well start and stop dates for iteration. The stops method only accepts naive datetime start and stop values. Now in the case where you provide timezone , start , and stop all is good in the world! if no start or timezone value is specified start is assumed to be localized UTC object. If timezone is provided a normalized UTC to the correct timezone. Now in the case where a naive stop value is provided you can see why the follow error occurs if you take into account the above note. You will be better off in scenarios of this nature to skip using either and use count to limit the range of the values returned.